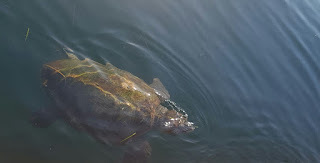 When out on the Lady O on our daily cruises we frequently see turtles and sometimes dolphins. It's always exciting and beautiful to see them in their natural environment. Our guests gather, trying to get a closer look so they can take photos. We slow down and wait in case the turtle blesses us again and pops its head up out of the ocean, but we don't chase them. We wait patiently. 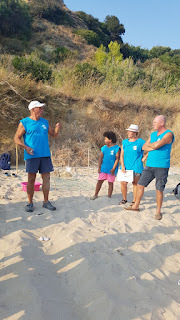 I recently had the opportunity to join part of the Lourdas team from Wildlife Sense (the group is lead by Chanel and Nicos supported by a group of volunteers) to patrol the beaches searching for turtle nests and also to witness an inventory of a nest once it had hatched weeks later. Mick Kinsey who was my guide enthusiastically shared his knowledge with me and I could hear and feel his passion to protect these beautiful creatures and yearning to educate others. It was a wonderful experience. 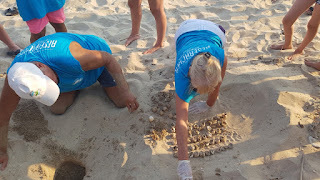 As we walked along the beach Mick looked with an experienced eye for possible turtle tracks, new nests and hatchlings. When I looked at the sand there were so many different patterns and prints I honestly didn't know what I was supposed to be looking for. Thank goodness I was with someone who did! He explained the female turtle would mate with several males and store the sperm in pockets in her body, deciding later when she was ready to fertilise her eggs which male sperm to use. 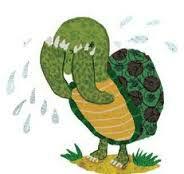 The turtle will choose the sperm from the biggest, strongest male turtle, which apparently is mostly the Greek male! Depending on which species (there are many!) a turtle can lay up to 110 eggs in one nest and may lay more than one nest in a season! Once her job is done she will return to the sea and leave them to hatch on their own (approximately 45-55 days later) never to return to them. 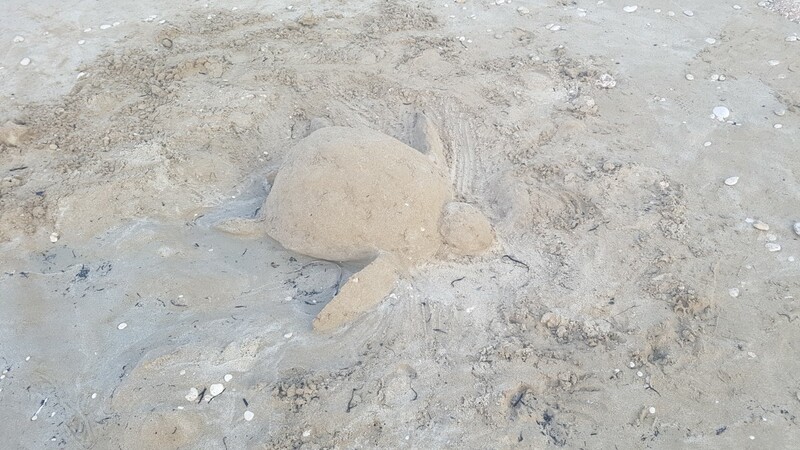 Once hatched the baby turtles will make their way to the top of the sand, usually at night, using the moon to guide them back to the sea. Despite the fact 99% of the eggs hatch there is only a 1% survival rate! I will confess this blog was three times the length it is now! Call this very simplified version of what I have learnt in the past few weeks, my contribution in spreading the word! 1) If you see a baby turtle struggling to get to the sea don't pick it up! It needs to do this journey in order to build it's strength and stamina in order to swim (otherwise it will drown), and also to be able to find it's way back to the beach when it's an adult and begin the whole process again. So if you see a baby turtle that needs assistance the best thing you can do is create a path for it in the sand all the way to sea and provide it with shade as they should come out at night. 2) Turtles eat jellyfish. They are not fast enough to catch fish. So as lovely as it is seeing the turtles at the harbour eating fish, they are actually losing the ability to fend for themselves. Wildlife Sense have a strong presence on the island (their blue t-shirts make them easily identifiable). Wildlife Sense is a sea turtle research & conservation organization based on the beautiful island of Kefalonia, Greece. 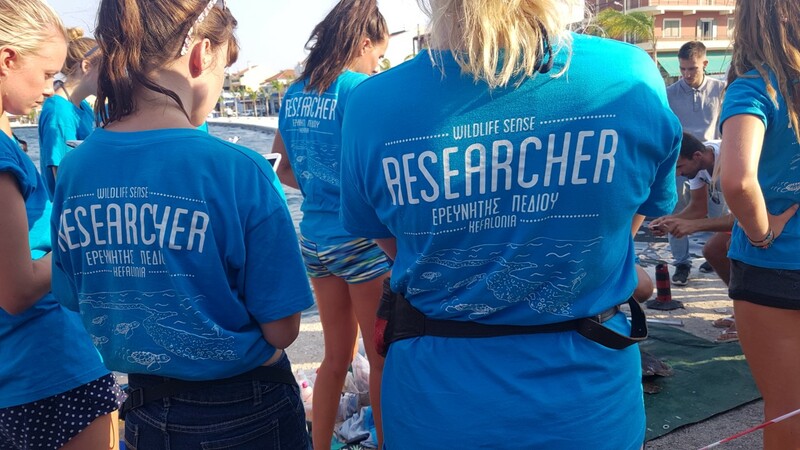 Their mission is to protect endangered sea turtles and their natural habitats, offer a unique learning experience to the volunteers who join their efforts, and promote public awareness. 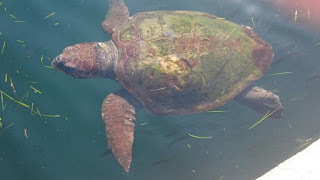 If you want to learn more about these beautiful endangered creatures and how you can help while visiting Kefalonia visit their website (Wildlife Sense). 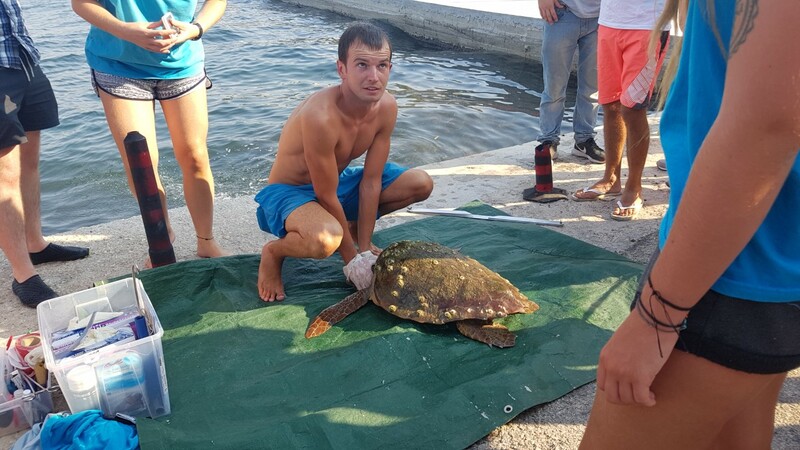 Wildlife Sense researchers in Argostoli measuring and tagging a new turtle in town! The crew of Kefalonia Cruise by Enalios will ensure they do their bit to preserve these beautiful creatures. While on the island of Kefalonia, look out for our reptilian friends, enjoy their presence and take care of them by being considerate of their needs. You'll get a list as long as your arm of recommendations as I can't think of anywhere that isn't a good place to eat! 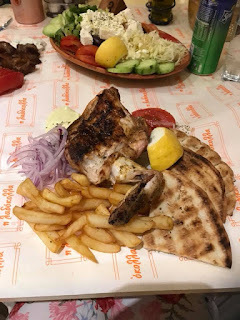 Wherever you go and whatever you choose to eat, the food is fresh and tasty, often garnished with wild herbs that grow practically everywhere on the island. When on holiday kids can be quite happy to play in the pool or on the beach, the sand and the sea ALL DAY LONG! Life is simple isn't it! But it's nice to have alternatives. Either the kids need a break from the strong sun, or you've turned into a prune! Keeping the littles ones entertained at such times can be hard work and expensive! Logos Grand View sits on a hill above Lassi. From Lassi Road you can see a ‘Hollywood’ style sign in big white lights clearly signposting it’s position. 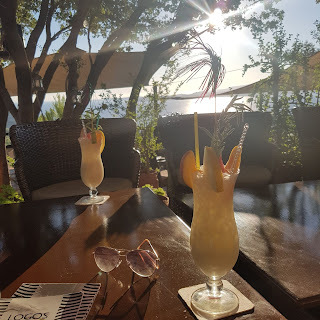 With award winning cocktails and fantastic sunset views, this is the place to come. When I asked Spyros what gave him the idea to open a bar so high up in the middle of no-where he instantly replied smiling ‘My dad.’ He shared with me a beautiful story; the dream his parents had.